Erin Sobanski is a trusted real estate agent to buyers and sellers of all price points and diverse investment goals. With more than 15 years of client services, marketing and project management experience, she provides comprehensive services throughout the real estate sales process. Her clients appreciate her professionalism and calm demeanor to provide enjoyable home buying and selling experiences. 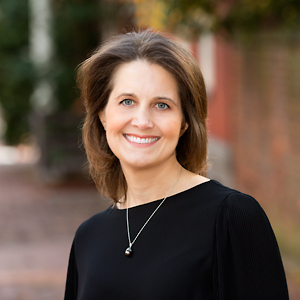 Erin’s broad knowledge of the DC metropolitan area is rooted in her upbringing in Rockville and experiences living in Montgomery, Fairfax and Arlington Counties. Now, she lives in Glover Park (Northwest DC) and plays an active role in community programs. Together with her husband and two young children, she enjoys taking advantage of the city’s amenities. Through these personal experiences, she helps her clients focus their goals. For her it’s personal—the client goal becomes Erin’s goal.